I wanted to do a little something with the, granted not amazing, photos from 12.12.12. And the beautiful kit Amy Tangerine from AC Digitals was perfect for the job. 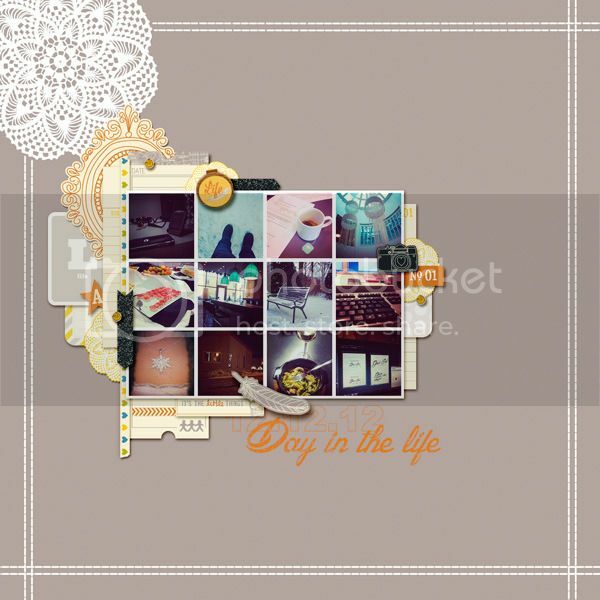 I also used some gorgeous journaling cards from Becky Higgins' Project Life Baby kit. I like how it came together, making the lack of quality in the photos not matter as much. Sweet Linda ... "Your photos lack quality," said NO ONE EVER. Again, you've produced a gorgeous layout.